Welcome to the UK's Black Opal Online Shop. 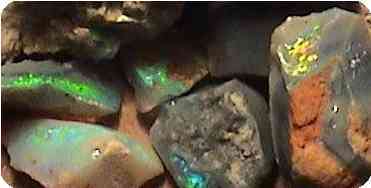 Our mission is to supply our customers in Europe, the USA and Canada with high quality, solid black opal gems. These can then be incorporated in custom-made jewellery, or kept as is for investment. 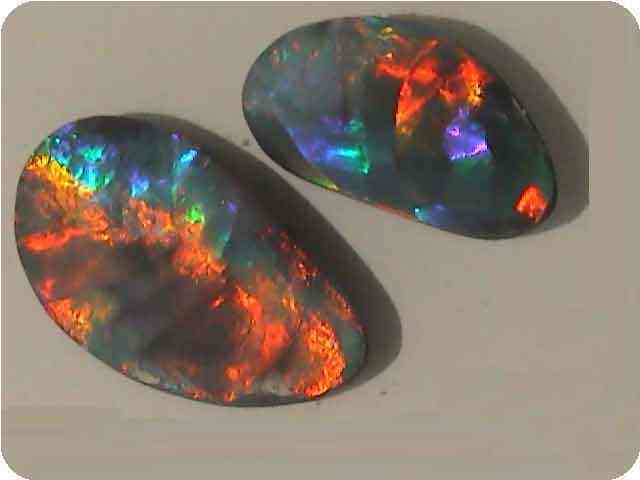 Every black opal is unique, so if you can not find what you are looking for in our online opal shop please e-mail us so we can look for you. Black Opal, what is it? The first people to discover opal called it "Rainbow stone", this simple definition is very close to what we understand them to be today. Tiny spheres of silica suspended in uniform size and position slow down the light that passes through them, releasing all of the magnificent colours in the rainbow. It is very easy to fall in love with an opal and to see how you could become the envy of all your family and friends as they see you wearing the queen of the gems. Your black opal will bring you endless enjoyment as you turn your gem to reveal its own story. Each one has been lovingly and skillfully cut by hand, setting the amazing gem free from the natural rough opal, (see right). To find out more about opal cutting click here. We don't stock any enhanced stones like doublets or triplets simply because we deal directly with miners in Lightning Ridge, and most of the doublets and triplets are made where labour is cheaper. A quick search on google would find some for you, if that is what you are looking for. We are happy to put you in contact with any of the jewellers we use, they are experienced in setting opal. Prices vary greatly depending on the amount and type of precious metal required. As a guide a 3 carat opal gem set in a standard pendant in 9ct yellow gold should cost about £60 - £80 all inclusive and a custom 1 carat opal gem set in 18ct white gold with a small diamond should cost about £300 - £350. If you are looking for good value then we would recommend finding a jewellery manufacturer near you rather than a high street jeweller as often they would just be a middle man to the jewellery manufacturer.